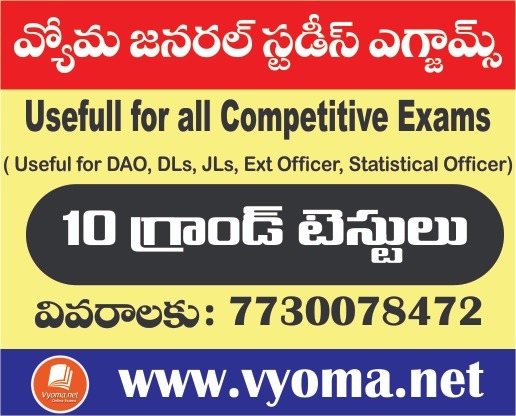 Vyoma provides you Andhra Pradesh State public Service Commission (APPSC)Previous Papers. APPSC Group 4 Previous papers are available in subject wise and author wise for Telugu Medium Students. 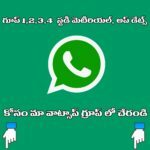 Group 4 APPSC Previous papers Telugu Downloadable pdf is available here. This Group 4 APPSC, Previous Papers Is very Helpful and useful For all exam preparation like UPSC Civil Services. And All APPSC Exams Like APPSC Group-1,2 and 3, Gurukula /Residential Recruitment for PGT& TGT, AP TET DSC SGT School Assistant, Language Pandit, VRO, Panchayat Secretary, AEE, And Other Govt Exams. As we are giving This(APPSC Group 4Previous papers) free pdf file, so it can be easy to read in mobile phones rather than buying Previous Papers. These Previous papers are published by the Different Authors. ఆంధ్రప్రదేశ్ పబ్లిక్ సర్వీస్ కమిషన్ నిర్వహించే గ్రూప్ 4 పరీక్షలకు ప్రిపేర్ అవుతున్న అభ్యర్థులకు ప్రిపరేషన్ లో ప్రీవియస్ పేపర్స్ ప్రాక్టీస్ చేయడం ఎంతో అవసరం, దానిని దృష్టిలో పెట్టుకొని వివిధ సంవత్సరాలలో నిర్వహించిన గ్రూప్ పరీక్షల ప్రీవియస్ పేపర్స్ ఇక్కడ ఇవ్వడం జరిగింది.